Mike Matusow has earned his nickname of “The Mouth,” having perfected how to get his opponents off their game just by the words he speaks. This has made Mike Matusow one of the more interesting professional poker players, with a large group of supporters as well as a large group of detractors. Mike Matusow is also famous for his “Mike Matusow Blowups,” where he suffers a loss and goes all to piece, usually getting eliminated from poker tournaments fairly quickly. 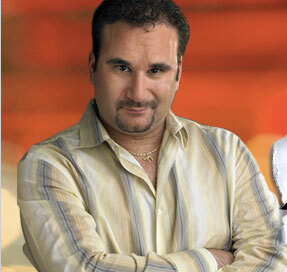 Mike Matusow is part of the original Full Tilt Poker team of professional poker players. Born in Los Angeles on April 30, 1968, Mike Matusow has been competitive ever since. He would bowl, shoot pool, and even build race cars just for the competitive thrill. Working as a poker dealer, Mike Matusow would pay attention to the details of the poker games, learning on the job, so to speak. When he felt ready, Mike Matusow entered a fairly small poker tournament and won. This was the start of Mike Matusow’s poker career, as he followed up his victory by entering more tournaments. He kept on winning, and started putting his money into cash games, specializing in Omaha Hi/Lo. Mike Matusow’s skills in Omaha are very good, as he is considered to be one of the best Omaha Hi/Lo players in the world. Mike Matusow began playing in the World Series of Poker in 1997, his first event being Omaha Hi/Lo. He finished in second place for a very respectable showing. In 1999, Mike Matusow won his first WSOP bracelet while playing in the $3,500 No Limit Holdem event. In the 2001 WSOP Main Event, Mike Matusow finished in sixth place after having been bluffed out of a pot by Carlos Mortensen, despite knowing that Carlos was bluffing. This threw Mike out of his game and he was soon eliminated. In 2002 while playing his best game, Omaha Hi/Lo, Mike Matusow won his second WSOP bracelet. He finished ninth in the 2005 WSOP Main Event for a payday of $1,000,000, which was quickly followed by another $1,000,000 payday when he won the WSOP Tournament of Champions. Despite these massive wins, Mike Matusow continues to struggle with his financial life. Although he no longer does drugs, he is not very good at managing his bankroll, losing most of it playing poker online at Full Tilt Poker. Mike Matusow’s life has seen quite a lot of trouble. He was arrested and spent six months in jail on drug charges, and felt abandoned for a lot of his time there. Very few people came to see him and when he was finally released, he had to rebuild his life. Phil Hellmuth loaned Mike Matusow $5,000 to renew his poker career, and he put that to good use. Today, Mike Matusow is a better person than he once was, and is striving to be even better. If you’re interested in learning more about Mike Matusow’s arrest, there is a great article that was written about Mike Matusow by USA Today.